The battle of Indian election has begun and all the political parties are ready to fight it out. With the announcement of election dates, the heat has just got increased. Voters are evaluating the moves of each party and parties are very cautious about there action. 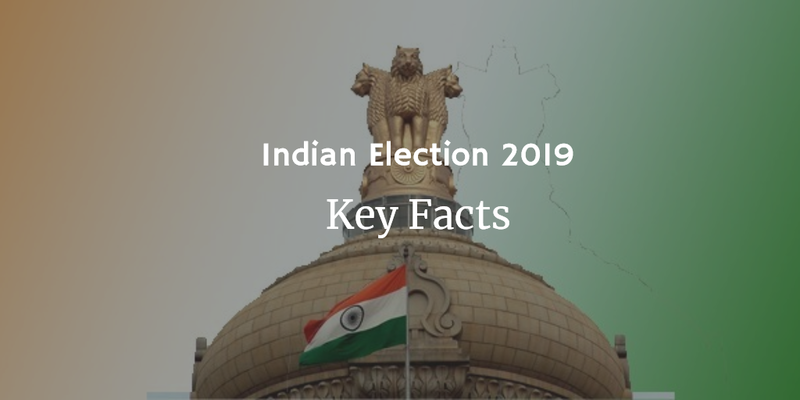 So we have listed some of the things you need to know about the Indian election 2019. The 2019 Indian general election is scheduled to be held in 7 phases from 11 April 2019 to 19 May 2019 to constitute the 17th Lok Sabha. The counting of votes will be conducted on 23 May 2019 and on the same day the results will be declared. In Bihar, Uttar Pradesh and West Bengal election will be held in 7 phases (maximum). The polling for Anantanag Lok Sabha constituency in the state of Jammu and Kashmir will be held in 3 phases, the first of its kind. All Indians aged 18 and above can participate. In the last general election, in 2014, more than 830 million Indians were eligible. This time it is expected to be around 900 million. It is generally considered that the new voters are key for the winning the elections. BJP is the main contender for the Indian Election 2019. The main national opposition party is the Congress, led by Rahul Gandhi. But numerous other regional parties also significant across the country. They are forming a united opposition to stop the victory of BJP. Around one million polling stations will be prepared for the Indian Election 2019 across India. The key states which are critical for the formation of the Indian government are Uttar Pradesh, Maharashtra, West Bengal, Bihar, andTamilnadu. Uttar Pradesh is responsible for 80 Lok Sabha Seats. Maharashtra has 48 seats. West Bengal, Bihar, and Tamilnadu are responsible for 42, 40 and 39 seats.